Muay Thai Chaiya is an old style of Muay Thai, with its roots based on the battlefields of ancient Thailand. An effective form of self defense, Muay Chaiya is a full martial art with a level of detail not to be found in the popular modern Muay Thai sport. Often described as the ‘Turian Style’ after the prickly fruit, due to the emphasis on blocking with the elbows and knees, Muay Chaiya concentrates on damaging the opponents weapons (arms legs etc) whilst blocking. Muay Chaiya is taught differently from modern Muay Thai, with more emphasis on technique and form instead of the concentration on pure body conditioning. The classes include challenging exercises that help the student practice key movements that are used within the style. 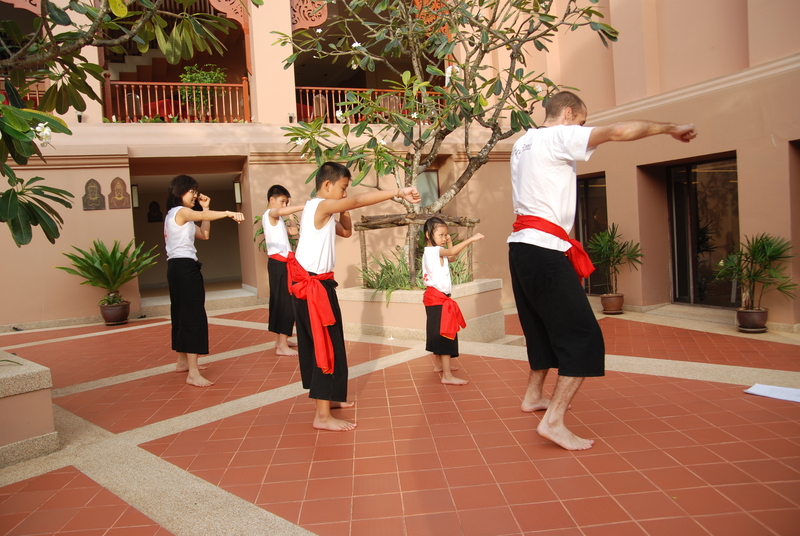 Muay Chaiya can be learnt by people of all ages, both men and women, for exercise, self-defense and competitive fighting.